Apple announced its AirPower wireless charger months ago and while it’s still not available yet we now have a good idea of when you might be able to buy it. According to apparently reliable sources speaking to Mac Otakara, Apple will start selling AirPower sometime in March. They didn’t say exactly when, but an earlier report in The Apple Post says the launch is likely to happen towards the end of March, so we may still have around a month to wait. These reports may only apply to the US, as they talk about AirPower being sold in Best Buy from the same date as Apple’s own stores, but it’s likely that the rest of the world will get it at around the same time. We certainly hope so, as it’s been a long time coming. The iPhone X, iPhone 8 and iPhone 8 Plus are the first Apple phones to support wireless charging and the company even went so far as to switch from a metal back to a glass one to enable it, yet still hasn’t launched its own wireless charger for them – though there are of course third-party options. 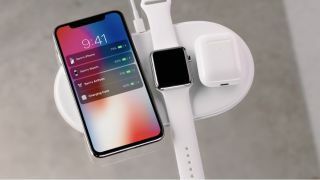 We still don’t know how much AirPower – which can charge an iPhone, Apple Watch 3 and AirPods all at once – will cost, but current rumors put it at around $199/£199/AU$260.